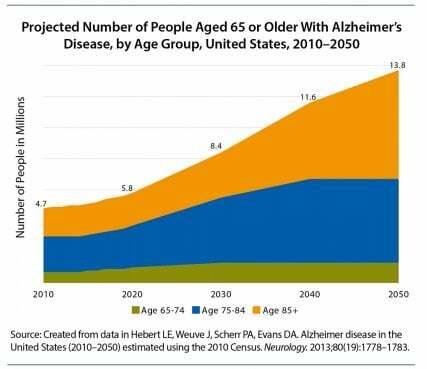 Dementia is the overall term for memory loss and cognitive impairment that results from diseases such as Alzheimer’s. It progresses as damage to the brain disrupts normal communication between brain cells and, in turn, affects behavior and thinking. Religion News Service is running a three-part series on dementia and religion. This is an excerpt from part 1. You can read the full series on the RNS website here. The growing aging population and new awareness of dementia have prompted theological schools to include more about these topics in ministry, theology and ethics courses. The second story in the series Songs and stuffed animals instead of sermons includes an anecdote from the “Jewish Music for the Mind and Soul” program, where Rabbi Beth Janus sings and strums songs she hopes might spark memories around the table. One woman sang along occasionally with selections that included Hebrew songs, the spiritual “Go Down Moses” and “Sunrise, Sunset” from “Fiddler on the Roof”; she sometimes accompanied Janus’ guitar with a blue egg-shaped shaker. Read the full series on the RNS website here.